The Comanche 3 smokestack, far left, at the Comanche Generating Station near Pueblo, Colorado. Xcel Energy has an ambitious climate plan. Will carbon capture be part of the solution? 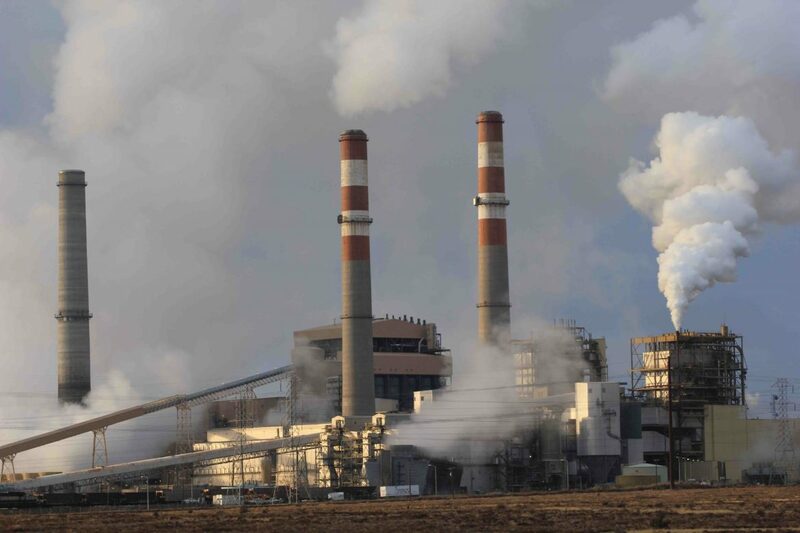 As Xcel Energy executives announced their vision of delivering zero-carbon electricity by 2050 in Denver on Tuesday, they may have also revived a long debate over the viability of carbon capture technology. Xcel, which in 2004 fought a 10 percent renewable energy mandate in Colorado, says it now sees a pathway using existing technology to achieve 80 percent carbon-free energy by 2030 in Colorado and the seven other Midwestern states in which it operates. Falling prices and improved technology have allowed the utility to incorporate vastly more renewable energy onto the grid than was once thought possible. Early last Saturday afternoon, Xcel set a new record of 72.2 percent of load being served to its Colorado customers by renewable generation. For the day, renewables were 65.3 percent. And while renewables will continue to be a major part of the conversation, Ben Fowke, Xcel’s president and CEO, stressed that to fully decarbonize the grid, all tools need to remain available — including, possibly, carbon capture and sequestration (CCS). CCS technologies could be applied to both coal and natural gas burning plants. He conceded costly and repeated overruns at carbon capture projects underwritten by the federal Department of Energy, but insisted that the idea itself should not be ruled out. “You don’t want to give up on things because of the early days,” he said. Xcel last year announced plans to close two aging coal plants, Comanche 1 and 2 near Pueblo, no later than by late 2025. Those two plants, built in the 1970s, together have a generating capacity of 660 megawatts. A third unit, Comanche 3, is one of the nation’s newest coal plants with a generating capacity of 750 megawatts. When Comanche 3 went online in 2010, company officials said that it had been designed to be adaptable to carbon capture and sequestration. A 2007 Department of Energy study found considerable capacity to absorb carbon emissions in that area as well as several others in Colorado. Alice Jackson, the chief executive of Xcel subsidiary Public Service Co. of Colorado, stressed the company’s ambitions to have partnerships and collaborations. She did not identify specifically what partnership Xcel hopes to forge, but the speakers who were chosen for the announcement, held at the Denver Museum of Nature and Science, may offer some clues. He also mentioned barriers to technologies, including CCS under Clean Air Act regulations. “CCS needs to be part of the solution,” he said. An August 2018 Congressional Research Service report said Congress since 2010 has provided more than $5 billion total for CCS-related activities. The Petra Nova plant in Texas is the only power plant in the U.S. capturing carbon dioxide in large quantities — over a million tons a year, according to the report. Environmental groups were generally friendly to Xcel’s announcement. “There are many, many details to work out, as Ben [Fowke] alluded to, but the most important first step has been taken, which is to set the right goals,” said Jon Goldin-Dubois, president of Western Resource Advocates, a Colorado-based nonprofit that is influential in environmental politics of the Southwest. WRA’s Erin Overturf, deputy director of the group’s clean energy program, supported Xcel’s approach. “I would not write off any particular tools that we may have,” she said. Bryan Hannegan, chief executive of Holy Cross Energy, a cooperative that serves the Vail and Aspen areas and owns 8 percent of Comanche 3, pointed to interest by Congress in furthering CCS research. A federal tax credit of $35 to $50 per ton of carbon “provides a healthy economic boost to CCS,” he said. Holy Cross in September announced a goal of 70 percent renewables by 2030 and comparable greenhouse gas reductions goals. It gets a substantial amount of its electricity from Xcel. As such, he said Xcel’s goal will allow Holy Cross to elevate its own goals. “We stand on their shoulders and if the shoulders get higher, we can reach higher ourselves,” said Hannegan. Xcel’s new carbon-reduction goals are “pretty amazing,” said Hannegan, who previously was at the National Renewable Energy Laboratory. He also spent three years working in energy and transportation policy in George W. Bush’s administration. Hannegan sees fundamental public policy questions going forward about the energy transition. Others will question why there needs to be government involved when Xcel and other utilities are making major advanced on their own. But government, he believes, needs to play a role in development of new technology. Energy solutions, he said, must transcend typical divides or rural vs. urban, liberal and conservative, and other divisions that now cleave the nation. Both in his remarks to reporters and then to a high-level audience at the museum, Fowke stressed the urgency of addressing climate change and the role of Xcel as being an innovator. But he also stressed the rapid pace of change that he believes will enable utilities to do their part. Note to readers: An earlier version of this story incorrectly stated that Bryan Hannegan worked for the Obama administration. A solar array in southwestern Colorado will give the Ute Mountain Ute Tribe enough renewable energy to begin the first phase of a dream they’ve been developing for 10 years.